When purchasing new windows or replacement windows for you home, you may be looking to save as much money as possible. 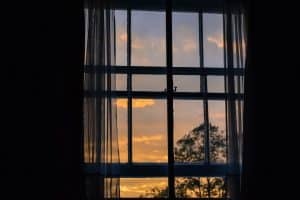 You may even be considering the cheapest possible option for new windows and what that would look like for your home. Cheapest usually means the lowest possible price for a product, and this is different than getting the most value. When you’re looking for the best value, you’re usually trying to get the most bang for your buck. This may mean that the cheapest possible window you can buy is $300, but once you factor in energy efficiency, style, and longevity your money may be better spent on a $450 option. Most of our clients aren’t looking for the cheapest possible option, as they usually want the window that will provide the best value within their budget. When you buy the least expensive option without any other considerations, you’re almost always going to have to compromise on looks, functionality, and energy efficiency. What are the cheapest windows, and what will you be compromising on? Glad you asked. Here’s everything you need to know about the cheapest windows on the market. The cheapest windows are almost always going to be made of vinyl, double pane, low or no e-coating, and be double hung. There’s nothing wrong with this style of window, and it will last a fairly long time, but you will have to live with a few compromises. If you like the look of wood, or want the durability of fibreglass or metal, you’re out of luck as those options will cost a little bit more than the cheapest window can provide. The same goes for window cladding. When looking at cost it’s important to factor in replacement time, as buying the cheapest windows more often may cost more over the life of the house. The first compromise is in functionality. A casement window, or crank window, is more expensive than its double hung counterpart. 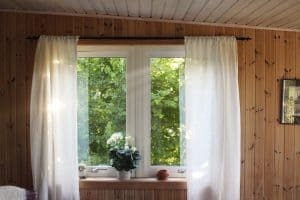 We’ve covered the difference between casement and double hung windows before, so you’ll want to check that article our for all the details. The next compromise is only having double pane glass. Many windows are double pane, but if you’re looking for efficiency on hot summer days or cold winter nights triple pane can add significant value. Everything else being equal, a triple pane window is more than 20% efficient than double pane. Speaking of window efficiency, your low-e coating adds cost to the window, but also tremendous value. More panes of glass means more low-e applications. The difference between a double pane window with one coating versus a triple pane with multiple coatings can be as much as a 40% increase in energy efficiency! Lastly, the biggest compromise you’ll make is in the look of the window. Once you’ve committed to the style, colour and look, vinyl windows can’t easily be altered. What you buy is what you get. The type of windows can really change the look of your home, and if your home is otherwise beautiful a cheap look isn’t always the best decision. Try looking for value in your windows rather than the cheapest available option. You may find it saves you money in the long run. If you’d like to see some options that will provide great value at a low cost, visit our showroom and speak with one of our experts!